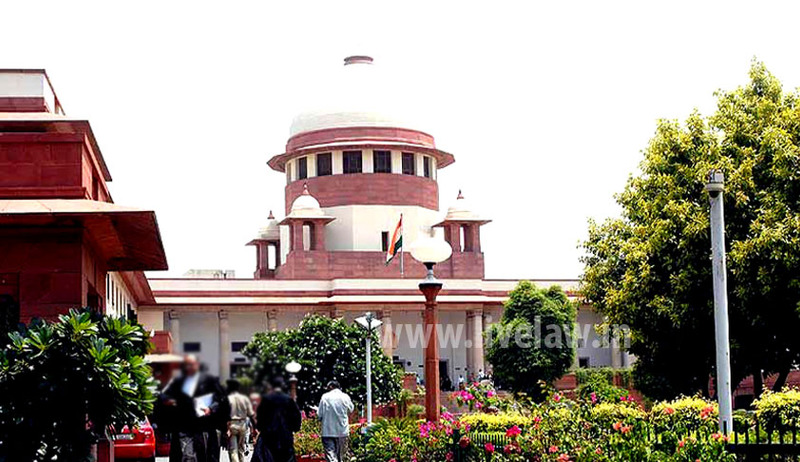 In a matrimonial Dispute pending before the Supreme Court the Petitioner wife had circulated a letter purportedly written by Justice V.R.Krishnaiyer to the then Chief Justice of India R.M.Lodha in the residence of Justice Ranjana Desai and Justice Ramana, who were hearing the Case. The Bench deprecated the conduct of the Petitioner-wife and recused from hearing the Case further. The Bench also relieved the Amicus Curie Senior Advocate Mr. V.Giri from the Case. While the petitioner-wife has obtained a decree of restitution of conjugal rights from a Bandra court on December 2, 2009 which has become final, the respondent-husband has obtained a decree of divorce from a Family Court in Kerala on January 16, 2013 which the petitioner has not challenged. According to the Petitioner the family court passed the decree for divorce ex-parte without hearing her and the Court did not have the jurisdiction to entertain the husband's petition for dissolution of marriage. But the respondent-husband contended that the Divorce Petition has been filed much before the Wife approached the Bindra Court for restitution of Conjugal Rights. Considering the nature of the dispute and the question of law, the Bench appointed Senior Advocate Mr. V. Giri, as Amicus Curie in the Case. The Case was posted for hearing on 15.10.2014. According to the order passed by the Bench on 16.10.2014, “Yesterday, i.e. on 15.10.2014, when we were hearing Mr. V. Giri, learned senior counsel, the petitioner repeatedly interrupted him despite our warning. Mr. Giri told us that in his absence, the petitioner had gone to his office and abused him. This fact was confirmed by Mr. Giri's juniors and Mr. M.P. Vinod, advocate-on-record who was present in the Court yesterday. We record our extreme displeasure about the petitioner's behaviour. We are sorry to know that Mr. Giri, who was requested by us to assist this Court should be put in such embarrassing situation. We regret the inconvenience caused to Mr. Giri. We thank him for the assistance rendered by him and relieve him of this onerous task. The Court further said that “We are told by the respondent-husband that the petitioner has not allowed him to meet his child since 2005. We, therefore, directed the petitioner to bring the child, Master Aditya, to this Court but the petitioner has not brought him to this Court. The petitioner has disobeyed our orders. Not only has the petitioner disobeyed our orders, she has tried to overreach the court by circulating letters to our residence. The letters are purportedly addressed to Shri R.M. Lodha, Former Chief Justice of India by Mr. Justice V.R. Krishna Iyer, Former Judge, Supreme Court of India. On these letters, it is written by hand "CC : To Honourable Mrs. Justice Ranjana Desai" and "CC :To Hon'ble Mr. Justice N.V.Ramana". On the envelop, the address is written in hand and it is shown that it is sent by Justice V.R. Krishna Iyer. We deprecate this conduct.” Then the Bench recused from hearing the matter and directed the Registry to place the matter before Hon'ble the Chief Justice of India for appropriate orders regarding placing it before appropriate Bench. Speaking to Live Law Justice Krishnaiyer’s office said that it is true that Justice Krishna Iyer wrote to many persons including Chief Justice Lodha for a speedy disposal of the Case (which is a 15 year old matter) since it involved the violation of human rights. Recently another bench of the Supreme Court observed that the delay in adjudication in Family matters is not only against human rights but also against the basic embodiment of dignity of an individual.